Fairate Express Ltd. was founded and incorporated in Hong Kong in March 1988. Fairate Express Ltd. was founded and incorporated in Hong Kong in March 1988. With an initial start of seven, yet experienced persons, we have grown up dramatically fast and in thirty-one years, we have become a medium-sized international air and ocean freight forwarder and consolidator with a total of number of more than 150 full time staffs. 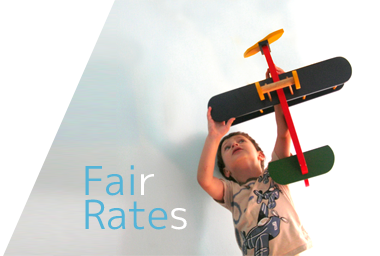 Aiming to offer Fairates with the best of services to our customers - no matter big or small, we maintain, at all times, a team of expertise in management, sales and operations to enhance the efficiencies of our services and making improvements from time to time to cope with the ever-changing markets. Since China opened the market in the late seventies, Hong Kong being geographically adjacent to China has become an important transshipment hub in the last forty years. For the purpose of expanding our network so as to serve our customers better, we have set up our own representative office in Shanghai in 1992 and followed by Xiamen, Shenzhen, Guangzhou and Tianjin. With the ever-increasing demand of services, we expect that more offices shall be opened in the near future. We are licenses holder of International Forwarder Agency, China Civil Air Transport Sales Agency Services, and NVOCC in China. Fairate Express Ltd. is dynamic, reliable and highly experienced and for such reasons, MEITETSU WORLD TRANSPORT, a division of Meitetsu World Travel Inc. (subsidiary of Nagoya Railways) in Japan has become one of our shareholders in 1991. This joint venture and exclusive working relationship has proved to be successful in the Hong Kong, China and Japan markets. Based on this experience and in order to expand our worldwide network, Fairate will continue to strive and well prepared to negotiate and form joint ventures with overseas partners. Our mission is to be one of the best worldwide freight forwarder and consolidator that offer absolute customer satisfaction.